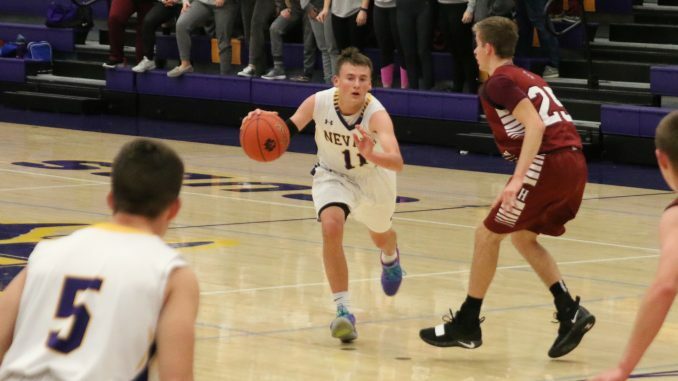 On Monday night, February 4, the varsity boys basketball team played PCM on the road. The Cubs battled hard throughout the game and kept up with the Mustangs throughout the first half. Despite the effort, the Cubs fell, 49-77. Tyler Sansgaard led the Cubs with 17 points against the Mustangs. Brayden Bottorf contributed with a total of 14 points. Bottorf also went four for four at the free throw line. The varsity boys play next on Monday, February 11, against Boone.